I’ve never been quite a cupcake fan. In the battle of Macarons vs. Cupcakes, macs always win. But I daresay ET makes brilliant cupcakes. 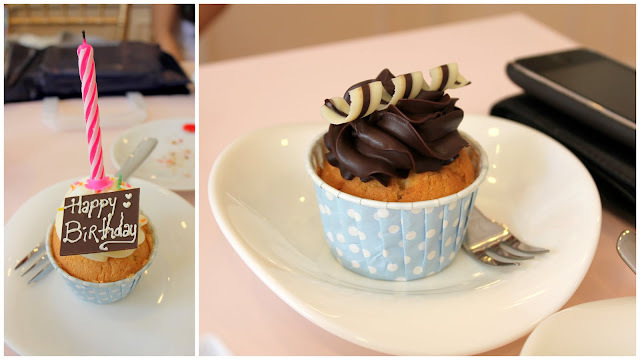 It is everything a perfect cupcake should be: cute, dainty, a moist, fluffy sponge, an adequate sponge: frosting ratio, and even a little surprise down in the middle where they pipe some filling inside. My favourite so far would have to be yuzu (left) mainly because of the tart yuzu custard piped in the centre of the delicate cupcake. If you fancy something with chocolate, I highly recommend the hazelnut feuilletine (right) which has a valrhona chocolate feuilletine centre. Word of caution though, the valrhona chocolate is pretty potent so if you don’t want to suffer from diminishing returns, avoid those cupcakes which have both chocolate in the batter, and in the frosting (e.g. the one above). Red Velvet isn’t available all the time. The cream cheese frosting was a little too sugary for me, I still prefer Cedele’s cream cheese frosting. However, the addition of Valrhona Chocolate Pearls for a contrast in textures is a good one. 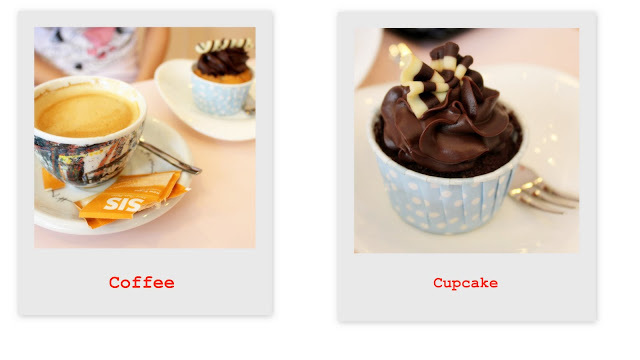 These cupcakes are available for takeaway, and they package it really well in an individual cupcake box with a transparent cover like the one above. It’s a great gift for birthdays or special occasions.